Every wonder what goes on when you do not see the work happening? 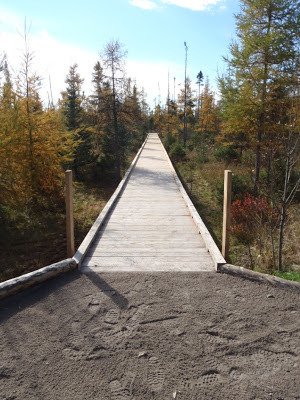 Here are two stories from some of this years trail work. 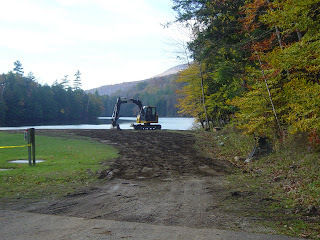 Emerald Lake gets a face lift! A 2-3 foot stone retaining wall was removed between the grassy area and the sand. The primary purpose was to increase access by allowing them to walk onto sand at any point rather than the one ramp. It also reduces the risk of people and children from falling in an attempt to access the sand by jumping down the stone retainer. A secondary benefit may reduce the amount of sand loss by better controlling runoff. Another goal, equal to removing the wall was to gain usable sand and grass area, to provide drainage and to create a slightly larger potential footprint for a future playground. Here are some photos from the construction!